We pride ourselves on our offering custom made covers’ quality, craftsmanship and durability, but due to customer demand, we are now offering an economical alternative. 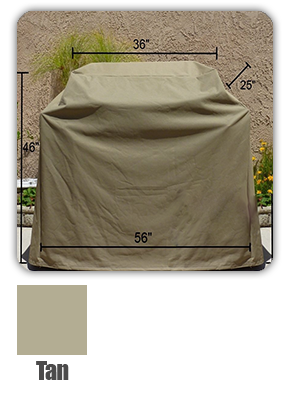 Our standard stock covers are an affordable value option to protect your air conditioner, grill or fire pit. 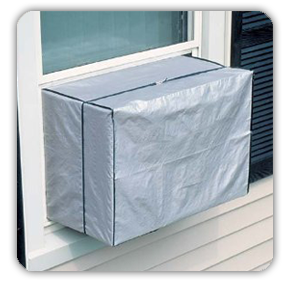 Standard stock covers are per-manufactured and packaged ready to ship. Give us a quick call 303.438.0906 to place your order as online shopping is not yet available for these products. 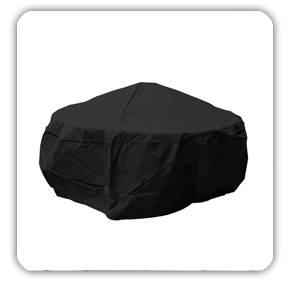 Full weather protection for BBQ grill for cart style. 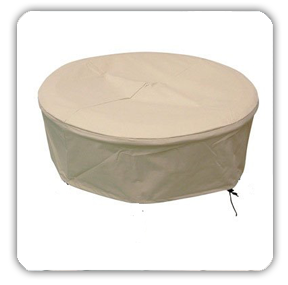 Sand color heavy gauge 600 Denier polyester fabric with PVC coated and water repellent treatment on top. 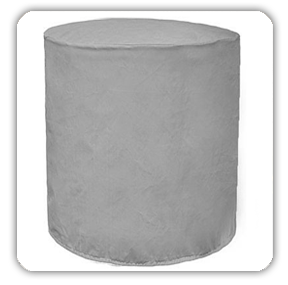 High heat resistant cover, UV protection and resists cold cracking. Simply wipe clean with a damp cloth only. Comes with Elastic Strap with Hook n’ Ring Fastener. Dual-Function layers for added strength and weather resistance. Specially coated for enhanced water protection. Protects from dirt, dust, pollen and rain. Sturdy elastic security strap hold cover in place.